Last year, I did a lot of finishing, including some projects that I had for 10 years! I decided to reward myself with starting a new project. So, I went through all my fabric stash and came up with these colors. Then, I auditioned the fabrics for the cross...I had 4 different ones in the running. I decided the one in the above picture was just too dark! So, now it is all pieced and I have all my supplies ready to go. I always put all the supplies I am using for a project in one box, then it is there all in one place. I probably won't use even half of the stuff in there, but a girl has to have options! I also decided to start a new Face Book group, Joyful Embellishments. I had been thinking about it for awhile and I decided the New Year was a great time to start. 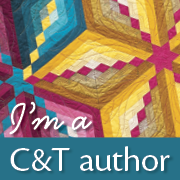 I will be posting stitching ideas Monday through Friday for the entire year in this group. 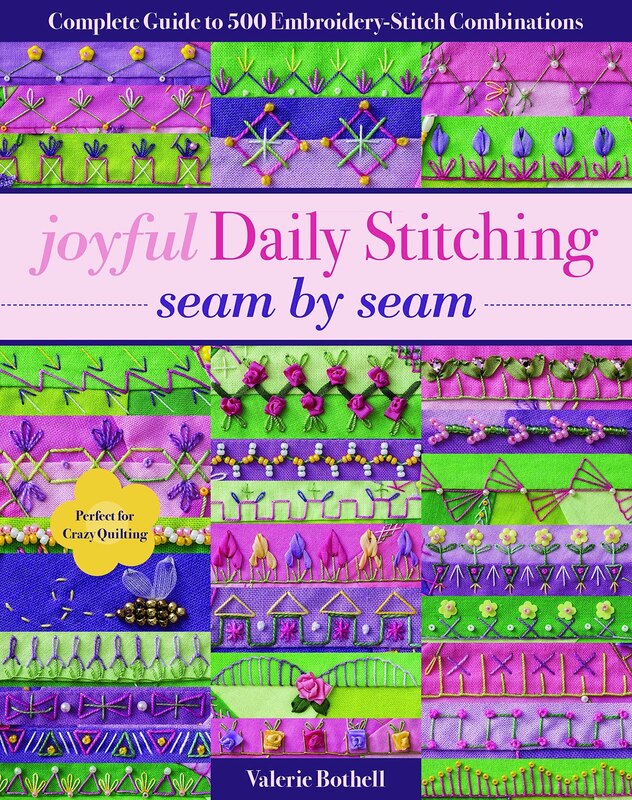 By the end of the year, there will be 260 stitch ideas to use! 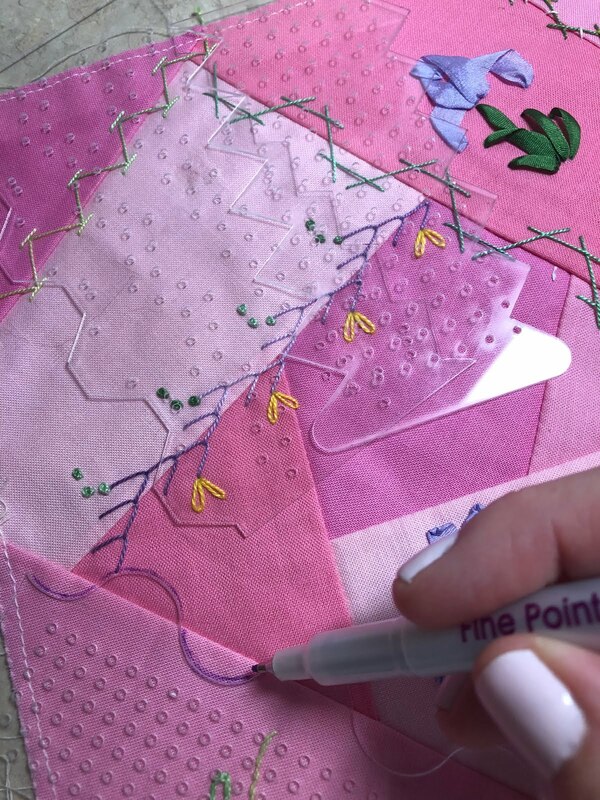 To sweeten the deal, if you join the group and stitch along with me, you will be entered into a drawing for crazy quilt goodies! The drawing will happen once a month.